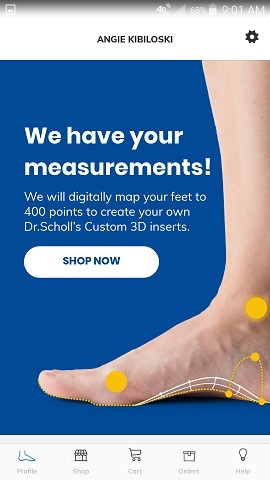 Dr. Scholl’s, a trusted foot care company for decades, can now supply you with their Custom Contour 3D Printed Inserts, created from images of your feet that you take with your phone, using the free companion scanning app. By using scans of your actual feet, you can be sure to get a product that is a perfect fit for the unique size and shape of your individual feet. Most people experience some sort of foot or lower body pain or fatigue, especially if you have a job that keeps you standing or walking for much of the day. Foot comfort is essential for overall body health, and it’s often difficult to get the correct fit in standard, store-bought insoles. Customized 3D printed models solve this one-insole-fits-all problem. 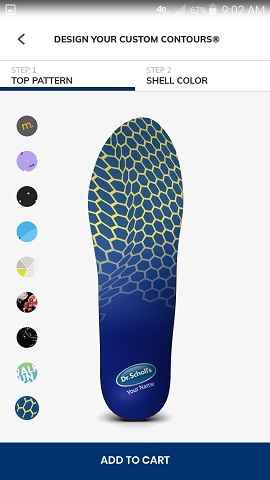 Also, with the user-friendly app, you don’t even need to leave your house to scan, customize, and order your insoles. Starting the process is easy in the Dr. Scholl’s Custom Contour 3D Inserts app. Just take a series of photos of each of your feet, following the simple instructions by the helpful in-app voice and video guide. You’ll need good lighting, a wall, and a blank sheet of printer paper to get the most accurate measurements. 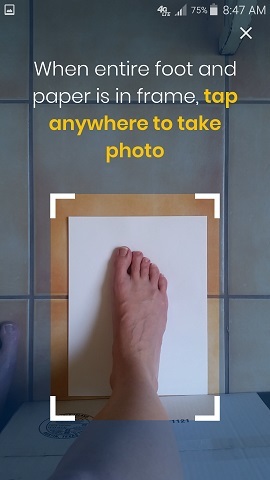 You’ll take one photo of the top of each foot, by standing on the paper for sizing, and placing your heel and edge of the paper flush against a wall. It helps to do this on a non-carpeted floor. 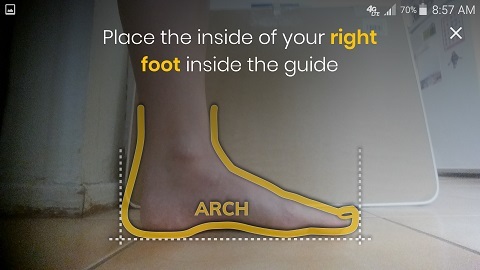 Next, you’ll take a photo of each of your arches, by leaning your phone against the wall and lining your feet up with the foot outline on the screen. This whole process only takes about 5 minutes, even if your framing is off and you need to retake the photos a couple times like me. 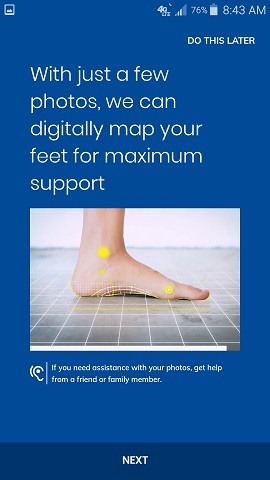 Once you submit your photos, foot care professionals with biomechanics expertise will analyze them, creating a 3D model of your feet by mapping 400 data points. You’ll get an email confirming they received your scans, and to let you know that the analyzing process has begun. You’ll get another email saying that either the photos were great and the 3D modeling is underway, or asking you to retake the photos to get a clearer image for the technicians for optimum contouring accuracy. You’ll get one last notification email when your insoles ship, and all you have left to do is wait patiently for your mail carrier. 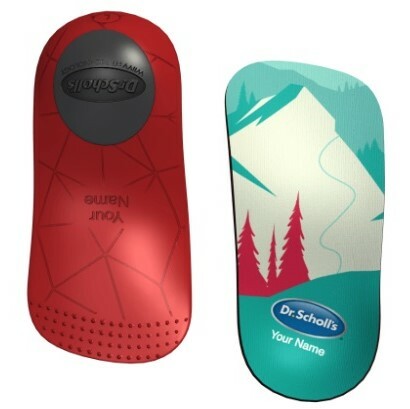 The insoles you’ll receive are supportive yet flexible. The 3D printed arch support fits the contour of your arch perfectly, and may even be different for each of your feet. The rest of the insole is made of springy, resilient foam, which is soft and flexible to give your entire foot comfortable cushioning and full range of motion. It’s covered with a moisture wicking, nylon fabric to keep your feet dry and odor free. There’s a squishy rubber heel cup on the underside of the insole, which stabilizes and supports your heel, to reduce impact and muscle fatigue. 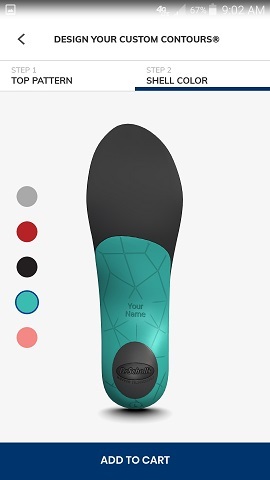 You get to choose which of the 11 colorful designs is on the top-facing side of your insoles, as well as one of 5 colors of the 3D printed shell underneath. Your name will by printed on each side, which I thought was pretty nifty. They come in Full Length, which totally replace your factory-installed insoles, and are perfect for casual shoes, athletic shoes, and work boots. They also come in 3/4 Length, which fit on top of your existing insoles, and are great for casual shoes which do not have removeable insoles, dress shoes, or narrow boots. Both styles are $99. 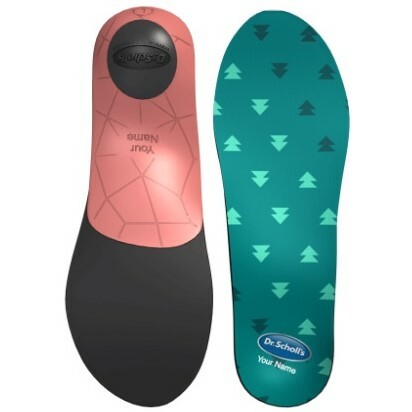 These are obviously pricier than store-bought insoles, but are less expensive than doctor-prescribed orthotics, and for the convenience of at-home scanning and the personalized fit and design choices, I think the price is just about right. After finishing your customizing and ordering in the app, you’ll get your insoles in the mail within 14 days. As with all new insoles, your feet may need a few days to gradually get used to the new fit, but just in case they don’t end up fitting right, you have a 30-day money back guarantee. Each pair of insoles will give you optimal support and comfort for about 1 year. Foot care is important, not just for the health of your feet, but for your entire body. Dr. Scholl’s Custom Contour 3D Printed Inserts make it easy for anyone to get individualized support for their unique set of feet, all from the comfort of home. 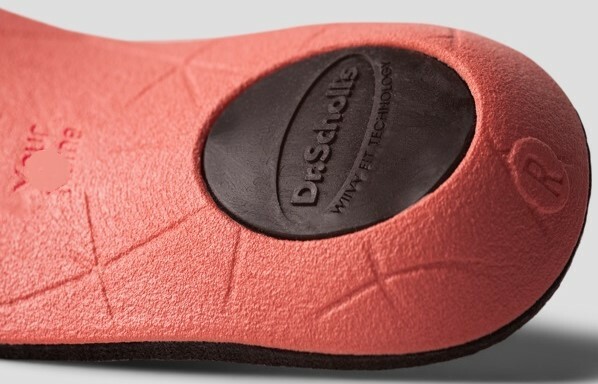 If you’d like to get started with your own pair of custom fit, 3D printed insoles, check out even more info at drscholls.myshopify.com Then, take a look at the app for either Android or iOS. If you aren’t yet ready to buy, you can still try out the app and scan your feet, saving your profile for later, so you can shop their colorful insole designs at your leisure. I’ve been wearing my insoles for a couple weeks now, and I’m loving them!